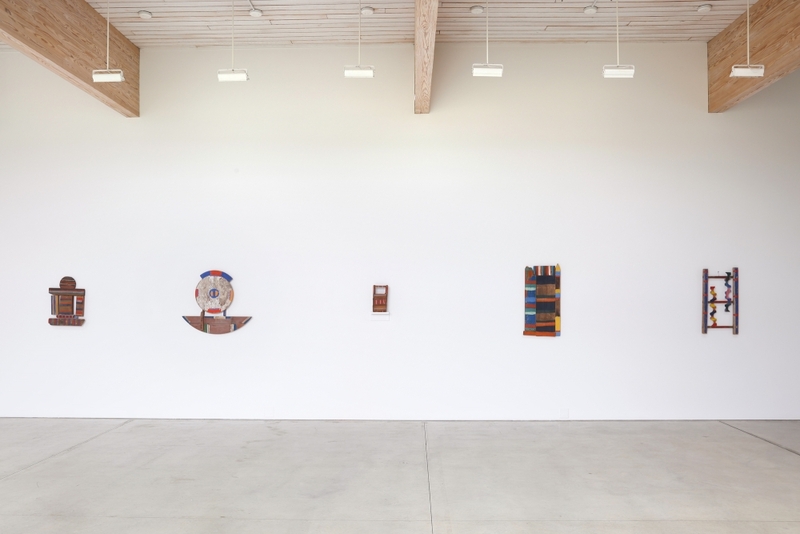 Betty Parsons: Blue sky very high, installation view, Art Omi, Ghent, NY. Betty Parsons solo exhibition Betty Parsons: Blue sky very high at Art Omi, Ghent, NY. The work on view at Art Omi ranges from 1957 through 1982, and depicts Parsons’ ongoing investigation of landscape as explored through a range of approaches to abstraction. Also included in this exhibition are some of Parsons’ painted driftwood constructions, created from beach refuse she collected during walks near her house on Long Island. Parsons’ sculptural work “evok[es] both the outside weather of nature and a feeling of social context and history,” said David Frankel in Artforum. In 1956, Betty Parsons Gallery notably became the first in New York to exhibit the work of Ellsworth Kelly. She eventually turned her attention to a younger generation of artists including Agnes Martin, Jasper Johns, Jack Youngerman, and others. She continued to run the gallery with her assistant Jack Tilton until her death in 1982.